This Web Site provides a brief description of certain surgical procedures as well as certain related services. The materials are presented for informational purposes only and are not intended to provide medical information. The Web Site does not attempt to present a full discussion of the benefits and risks that may be associated with any surgical procedures addressed herein, nor does it attempt to diagnose or recommend a course of treatment for conditions that may affect visitors to this Web Site. None of the materials presented may be relied upon by any person for any medical, diagnostic or treatment reasons whatsoever.. 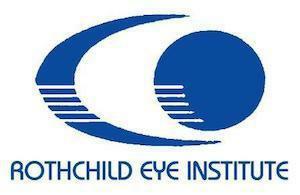 The Rothchild Eye Institute and Eric J., MD disclaims any liability for any injury or other damages resulting from the review or use of the information obtained here. Any person considering any surgical procedure addressed herein should consult with a qualified physician before proceeding with such procedures or any other course of medical treatment.